I ♥ FABRIC should be a bumper sticker on my car. I not only love fabric but I love mixing patterns and colors. When it comes to home decorating I can not tell you how many times some of my friends (who own exceptional wardrobes) are scared of pattern and color in decorating. Their excuse, "I can't do it, I don't have your eye." Well you had the sense not to wear that polka dotted blouse with that plaid skirt, didn't you? If you can dress yourself than I think you can dress a room! But seriously, it's not that hard. I believe one mistake people make is buying home decor items on impulse. You say to yourself, I am pretty sure this will match what I have and then it doesn't when you get it home. If it's a pillow, chances are you can take it back, but if it's a sofa or chair you are probably stuck with it. Here are 3 handy tips (I live by) for you to take with you next time you have an urge to splurge. 1. Always get swatches to take home. I know this sounds so cliche, but better safe than sorry once you buy. 2. 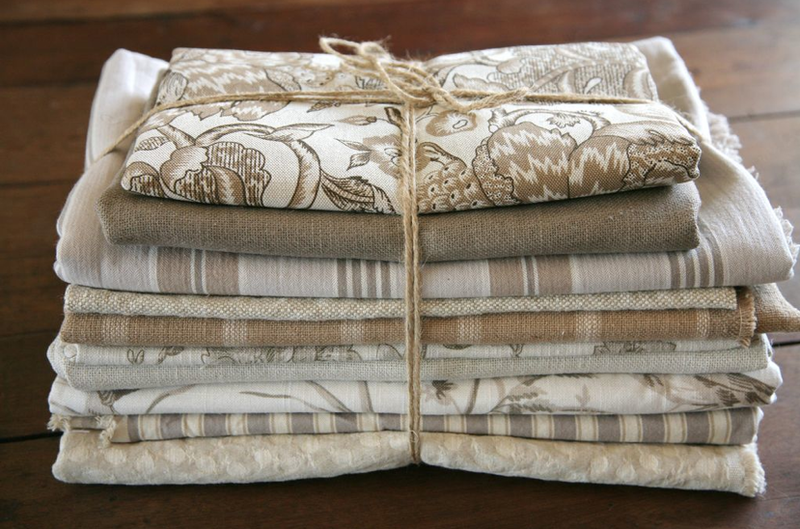 Carry fabric swatches of what you already have whether it is a a piece of furniture or a pillow. You don't have to take the entire piece with you silly. Most furniture pieces come with arm rests covers or matching pillows. Take one of those items with you when you are shopping. 3. The third one is a no-brainer! Step outside your comfort zone. (remember that short little dress in a bold pattern you dared to buy for a holiday party and you looked great in?) never pass up a fabric swatch because you think that pattern would never look great in your home or is not a color you like. 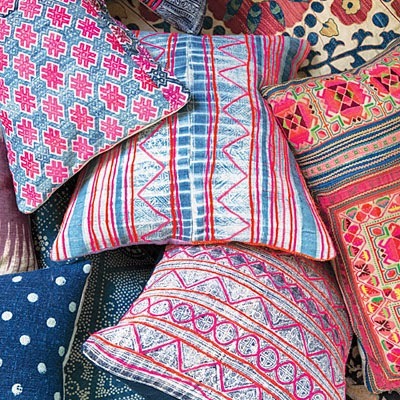 If tones match, go ahead and mix a few or more patterns. When combining fabric patterns, a good rule of thumb is: One large scale pattern, one small scale pattern, one geometric, one stripe and one or more solid fabrics with texture. Patterns establish themes, and most patterns can be easily categorized. Cohesiveness is key. 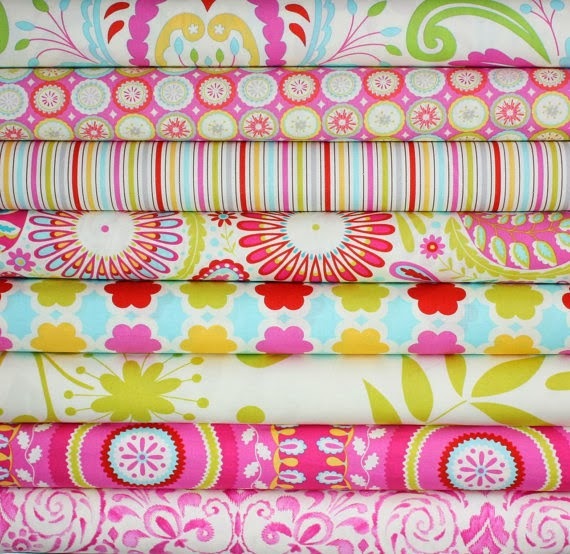 Put all the fabrics you’re considering and lay them out out on a table. Then pull those out that do not have complimentary or the same color tones in them. You will be surprised what you end up with. 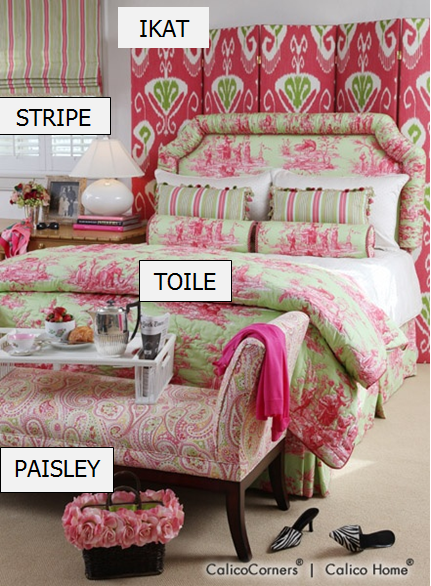 This great mix of fabrics not only shows how colors can mix but most of all how you can mix patterns. Don't be afraid to think "outside the box".